The Moonbug 20? 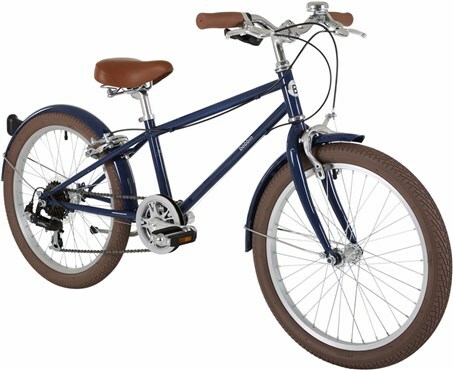 bike is a classic bike designed for children aged 7-9 years. Colour-matched chain guard and mudguards keep your mini-Bobbin rider’s outfit neat and tidy. With a gloss paint finish, matching grips and saddle, the styling perfectly mirrors Bobbin's adult’s range. Perfect for the mini-me in your life!